Our Easy Strawberry Triple Decker Cake Recipe is an absolute showstopper. Loaded with Fresh Strawberries, this Homemade Southern Delight is guarentted to be a hit! Super Moist, Rich and Really Sweet, all topped with Strawberry Buttercream Frosting!! Yesterday was my darling friend Mary’s birthday, and when you have that kind of friend, you make something extra special. She’s a Southern belle who loves strawberries and pound cake, so naturally, I hopped into the kitchen to create my crazy-delicious, triple decker Strawberry Cake with strawberry buttercream frosting! The rich pink color of this dense cake and the intense strawberry flavor top-to-bottom makes everyone happy, and I knew it would put a smile on her face. Guys, I really LOOOVE this cake. It’s a combination of a strawberry cake with Jello and a fresh strawberry cake, which is something that’s hard to find in most recipes. The strawberry cake Martha Stewart makes uses fresh fruit, but it produces a one-layered coffeecake. That’s great with my morning latte, but it doesn’t really elicit the “ooh and ahhh” response I wanted for my friend’s special day. The strawberry cake Paula Deen makes does use Jello to achieve its signature color (that’s “blush and bashful,” for any Steel Magnolias fans out there), but she uses frozen strawberries. I think using fresh strawberries helps them retain their texture, even when baking, so that’s what I use in my Strawberry Cake recipe. Paula also uses a traditional cream cheese frosting, and like mine is, well, a work of art. Let’s talk about the cake itself first, though. My recipe starts with a cake mix, so it’s important to understand a little bit about the difference between that kind of cake – a butter cake – and a strawberry sponge cake recipe. Traditional sponge cakes (like a genoise or Angel food cake) typically have little or no butter and replace leavening ingredients like baking powder or soda with air from a good solid whipping of the eggs (separated or not). This process creates light and airy cakes, but they tend to be dryer and particularly suited for absorbing strawberry syrups or berry liqueur. Butter cakes are heavier (even with added baking powder) and moister. I really wanted a dense, rich cake for this particular recipe, so bring on the butter . . . and Jello. Why Jello? Well, it’s a great way to add flavor to a cake without added moisture that might throw off the batter. The gelatin also works as a stabilizing agent, which helps prevent the top of the cake from cracking or splitting. If you want an easy strawberry cake recipe, use mine. If you want the BEST strawberry cake recipe, well, let’s just say you can’t go wrong with mine either. Generally, when I make this cake, I use either a vanilla buttercream or a cream cheese frosting. This time, though, I wanted to give the juicy red berries a seat at the frosting table. That took a little experimenting to get the technique and the moisture content just right, but the strawberry buttercream I ended up with is worth . . . every . . . minute. It’s sweet, light, and studded with berries – the perfect complement to my Strawberry Cake. Needless to say, Mary was really excited when I did the big reveal on this cake, and I’m pretty sure I saw a little tear in her eye when she took that first bite. Don’t wait on someone’s special day, though – go ahead and make this for yourself today. It’s someone’s birthday somewhere, right? 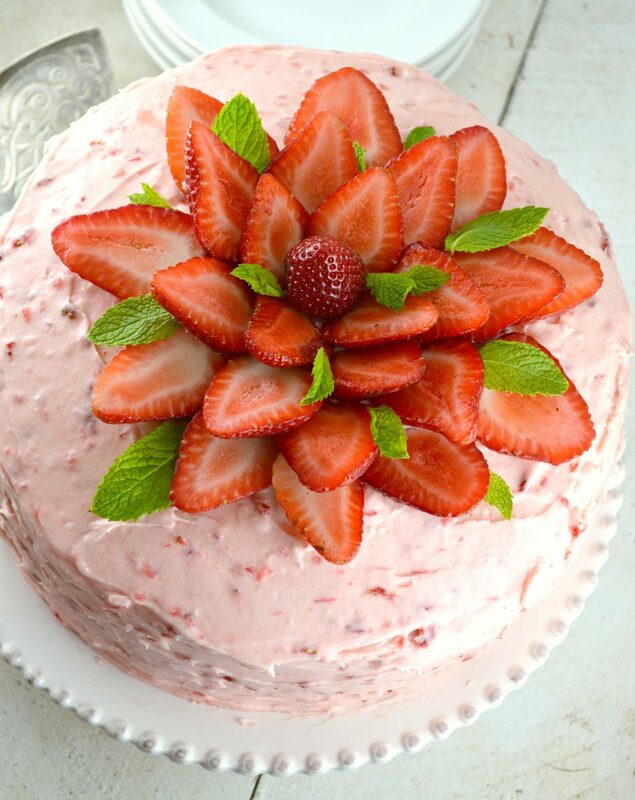 Frosting: This Strawberry Cake recipe, at least the cake part, is my favorite kind of recipe. Dump everything into a bowl and mix. The frosting, however, is a little more fickle. Buttercreams, in general, can be hard to work with just because butter tends to soften quite a bit at room temperature. To achieve my strawberry-speckled version, you’ll have to take extra care because of the natural juices from the berries. To minimize extra fussing, make sure to completely cool the layers of cake and then refrigerate them for a bit (you can stack them with a piece of wax paper between each layer). The buttercream itself should also be refrigerated for about 10 minutes before frosting your cake. It really is easy to assemble, but you’ll need some extra patience. 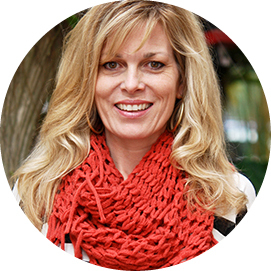 As it turns out, patience is NOT a virtue I’m generously blessed with – just ask my hubby! But I can make this cake, and so can you. Just give yourself plenty of time. 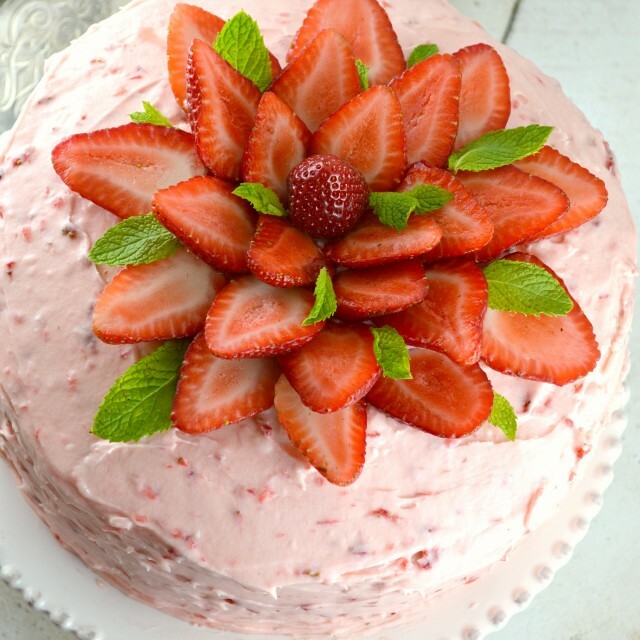 Fresh or Frozen Strawberries: While I definitely recommend fresh strawberries both for the cake and the frosting in this recipe, you can substitute frozen berries in a pinch. Sometimes you just can’t find them fresh (or ripe), so just do what you have to do to make this recipe. I do suggest chopping the berries before they’re completely thawed to avoid a mushy mess and make sure you drain them as much as possible. Pan Substitutions: If the thought of managing a three-layered monster is intimidating, you can still enjoy this cake. Make Cupcakes–The measurements here will make approximately 36 cupcakes. Just start checking them during the baking process at around 17 minutes since they’ll likely need to bake a few minutes less. Make in a 9X13–You can also cook this in a 9”x13” pan (you’ll need to watch the cooking time on this one too), with enough batter leftover for about another 12 cupcakes. Either of these options will cut back on the frost-refrigerate-repeat steps too and save you some time. If your Cake Sinks in the Middle: This cake is a dense, extremely moist cake, containing a lot of extra moisture from the fresh strawberries. That being said, if the cake layers are not baked until done, if they are slightly “underbaked”, your finished cake might possibly sink in the center. Make sure when you test for “doneness” your toothpick inserted in the center comes out clean. Substitutions: For all the chocolate lovers, try subbing in your favorite chocolate frosting instead of my strawberry buttercream. Our Easy Strawberry Triple Decker Cake Recipe is an absolute showstopper. Loaded with Fresh Strawberries, this Homemade Southern Delight is guaranteed to be a hit! 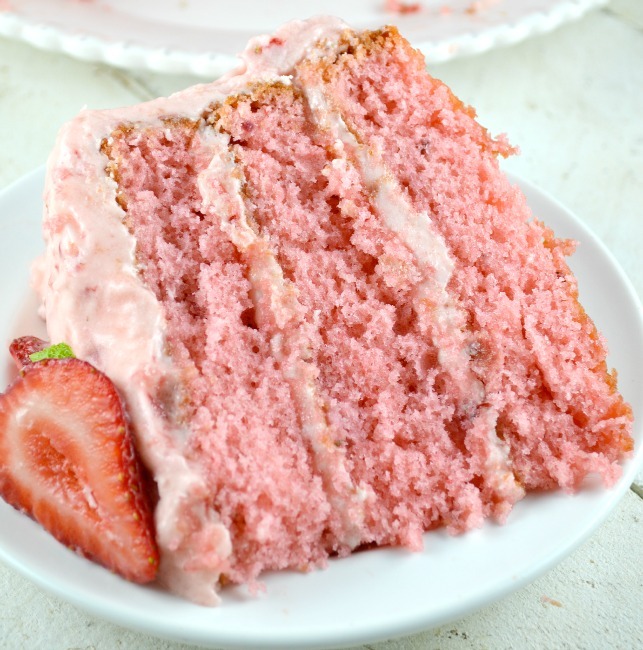 Super Moist, Rich and Really Sweet, all topped with Strawberry Buttercream Frosting!! Make the Cake: Preheat the Oven to 350 degrees. Line 3- 9-inch cake pans with parchment paper and spray with nonstick cooking spray (I prefer the Baking nonstick cooking spray that contains flour). Set aside. In a large bowl, mix all cake ingredients with an electric mixer on low until just combined. Scrape the side of the bowl, and increase mixer to medium and beat for 3 minutes. Pour cake batter into prepared pans and bake until a toothpick inserted into the center of the cakes comes out clean, about 23 minutes. Cool cake in pans on a rack for about 10 minutes. Remove from pans and cool completely. If using the following recipe for Strawberry Buttercream refrigerate cakes until completely chilled. Meanwhile, Make Frosting: In a large bowl, beat the butter at medium until it's pale yellow and fluffy. Add powdered sugar and strawberries and beat at low until well combined and creamy. 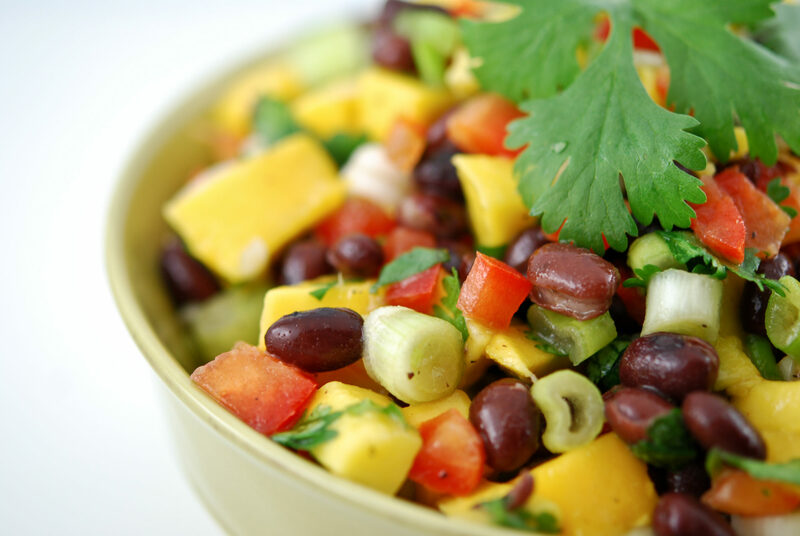 Set in the fridge for about 5-10 minutes to firm it up slightly (You just don't want it to be runny). Spread one of the layers of cake with frosting then refrigerate. Frost the second layer and refrigerate until the frosting on both layers has firmed up a bit. Assemble all the layers and frost the top and sides. Refrigerate! Just tried this yesterday for my MIL’s birthday cake. She is an incredible baker and was so impressed! Thanks for the amazing recipe! It was absolutely one of the best cakes I’ve ever tasted. SOO delicious!!!! Can’t wait to try your other recipes!!! Made this last year for my wife’s birthday. Needless to say I have to make it again this year. It was amazing. This was the easist cake I’ve made and my daughter and family loved it! Hello I tried making the frosting two times first time after mixing the strawberries it looked liked it wanted to separate not like a buttercream frosting looks I don’t know what I did wrong followed the directions. Hi Patricia. That’s such a bummer! So sorry that happened!! When a buttercream separates it’s generally because the butter has become overheated form overmixing and the frosting is too hot to emulsify. My frosting did not cream well. What did I do wrong? I followed the instructions. Kathleen, how kind of you to answer all of these questions. 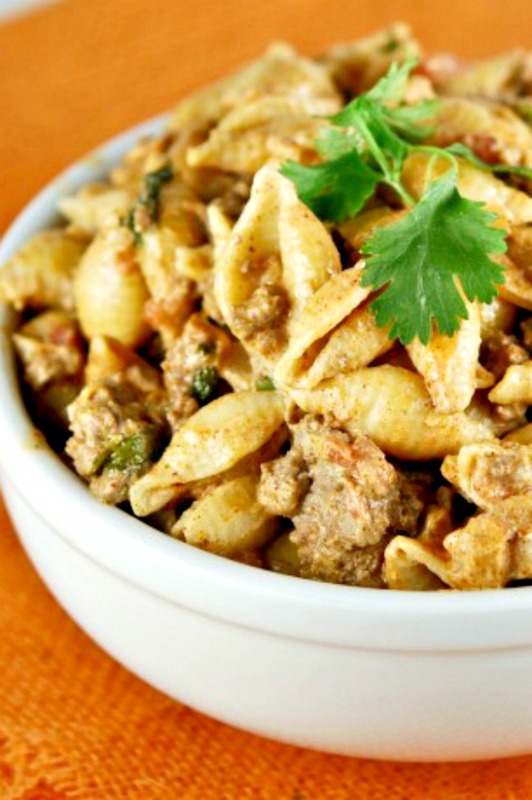 I can’t wait to try this recipe and I’m sure these extra tips will come in handy. I made this recipe for my mother’s birthday. It was delicious but I had a terrible time with the decorative sliced strawberries on top of the cake. I took great measures to slide the strawberries and place them on top of the cake, just as your beautiful photo, then I placed the cake in the refrigerator. It was gorgeous and I was so proud! When I opened the frig to take the cake to my Mother’s birthday celebration…….all the strawberries had slid off the cake!!! I am assuming the juice from the fresh strawberries caused this. Any suggestions for this? I bought a moist French vanilla cake mix with pudding in the mix. Will that cause a problem with the jello? I made this cake for two coworkers birthday. I absolutely love the cake, you could eat it easily without frosting! I love chocolate so I used a chocolate ganache drip over the normal icing and then put chocolate covered strawberries on top and around the sides to give it an all around theme. I had to add an extra stick of butter to the icing as it just tasted like powdered sugar to me then I added more salt. It came out perfect and my coworkers liked it so much that I’m making it again as a request for another coworkers birthday. Thanks! Yay Shannon! The chocolate ganache on the top sounds incredible!! Please reply ASAP! I need to make this cake ASAP this week. Can you puree the strawberries and mix with milk, powdered sugar, vanilla, Crisco lard for frosting instead of buttercream icing? How much-powdered sugar, milk, and Crisco and vanilla for the frosting I wish to make for the 9×13 inch pan? Do you add the strawberry juice (pureed) to it? Do you add dry-strawberry jello mix in the frosting too? Thank you! Jan. 15, 2019. 1. Frosting: The recipe you are suggesting for the frosting is not one I’ve used so I’m sorry but I can’t really tell you if it will work. In general, you can replace the butter with Crisco with similar cream results. I’m personally not a fan of the taste of Shortening frosting. Since you are making a single layer 9X13 inch cake, the frosting recipe I have would be very easy to use because you won’t have to worry about frosting the most difficult part of the cake, the sides. Our recipe does not use any Jello in the frosting. 2. Cake: For the cake, our recipe adds 1/2 cups fresh, finely cut strawberries. It works great with them. Pureed strawberries will add more liquid to the cake so I would use pureed. As far as the Jello goes, yes you add just the Jello powder. I hope this helps <3 Good luck and Happy Baking! This was the best cake I have made ever and I pureed the strawberries for the cake (added 1/2 cups sugar in the strawberries and pureed in blender and then added about 1/ 2 cups sugar in the cake too and I added 1/ 4 tsp. strawberry extract flavoring in the icing to give it that tangy strawberry taste. Can I use salted butter in the icing if I do not have any unsalted butter? Please reply before the end of this week for I am making 2 more cakes. Thanks, Ivye Sowders isowders@yahoo.com. Hi, Ivye. Thanks for asking. For the icing, Based on the link you can try and use salted butter instead. You can read more here: https://www.goodhousekeeping.com/institute/a19376/salted-butter-vs-unsalted-butter-baking-tip/ . For the 9×13 watch the cooking time closely. Maybe this will help too: https://www.livestrong.com/article/487227-how-to-change-the-temperature-to-bake-for-different-pan-sizes/ . I’ve made the cake twice now and really do like the taste. I’m having a problem though in that it keeps falling in the center. The outside rises and is fluffy, but the center is thin and falls. I am following the directions to a “T”. Any idea on what I might be doing wrong? 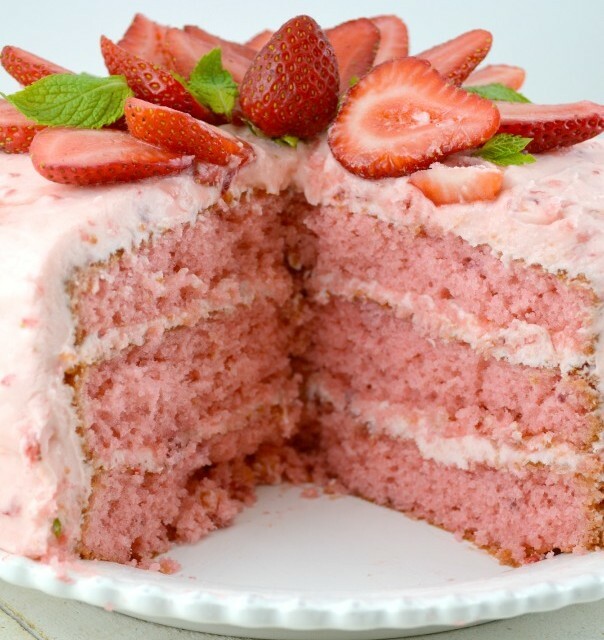 Can you use strawberry cake mix instead of white? Hi, Mike! That’s wonderful! Thank you for letting us know that it was a hit! I haven’t tried salted butter, so happy it turned out great! I hope you’ll make more strawberry cake next time, LOL! This cake made my family so happy this Thanksgiving. I have a special request to make it again for christmas. I made mistakes when icing so my layers slid and got stuck overnight. I will be using skewers this time around to keep them in place until the icing is set. I found this to be an easy cake but also a “take your time and get it right” type of cake. Well worth the effort! Thanks for the recipe! Can I add cream cheese to the frosting? Hey Karen! Yes, in fact, a lot of people who have made this recipe tell me they do! Can I use strawberry cake mix instead of white cake? That’s what I have in my pantry. Hey Kim! Gosh, I’ve only made it as written. It seems like it would work but it might be a little strawberry overload, maybe taste a bit artificial? I made it with strawberry cake mix just didn’t add the jello. It was great. I was afraid icing would be too thin so I used 1 1/2 sticks of butter and made a strawberry puree that I added until I had the right consistency. Buttercream icing is always tricky but you just have to work with it until it is how you like it. I have a child with Celiacs Disease, but LOVES strawberries! Do you have any suggestions on how I could possibly make this for her as a Gluten Free cake instead?? Hi Amanda! I too have Celiac’s and—after struggling for 8 years to alter the delicious-looking cakes that I see is n Pinterest—I can confidently say that if I can make these glutinous treats in gluten-free form, you can too! Generally, you can use a box GF cake mix (Pllsbury makes a great version) and use only egg whites to make the cake white. I also add a little extra milk, about half a cup, to ensure that the cake is moist. The jello from this amazingly beautiful strawberry cake might mean you don’t need extra moisture. I’ll bake it this weekend then send another text after I’m done to let you know how it turns out. 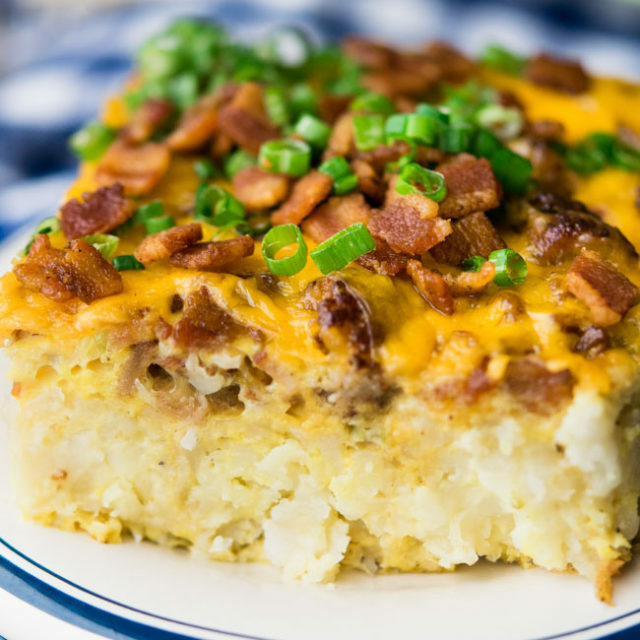 This recipe just looks too wonderful not to give it a try. Check back after the weekend to see how it went. When making the frosting, it seemed way too dry with 1 cup of butter and 32 oz of powdered sugar. It was clumpy and not at all smooth. So I added another 1/2 cup of butter and am hoping it’s not too buttery flavored. Still waiting on the cakes to cool now and really hope this cake works as well as yours! It’s beautiful and my son is so excited to have this for his birthday tomorrow! Love this cake so much! Always a Hit with my crew. Made it in cupcakes too. Instead of oil I used sour cream and this was a delicious hit! Should I use strawberry jello pudding? or actual jello? made this cake for my girls 3rd birthday. was a huge hit!! instead of mixing the strawberries into the icing, i made a vanilla buttercream and put fresh sliced strawberries in between the cake layers and on top, then didnt ice the sides so more like a naked cake. looked amazing!!! So happy to hear the cake was a hit! I love this for little girls birthdays!! Actually, big girls too!! 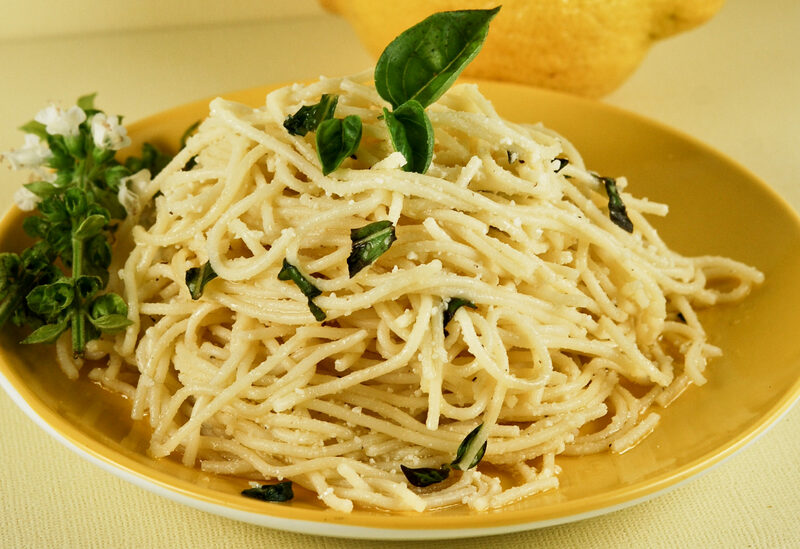 Great recipe, made it a few times and they rave for more. Thanks so much. Just wanted to say that i made this cake quite few times and it was amazing. That was back in USA, now i am on vacation visiting family and wanted ti prepare it for them. Oh gosh Veli, I just saw this comment below the other one. I’m really sorry. This recipe is written to use the cake mix as an ingredient. I’m afraid it’s the only way I know how to make it. I’m so sorry! Hi Becky. I think it would work. Just make sure you thaw and drain them well. I’d lay them out on paper towels to remove as much moisture as possible. I made this cake in a bunt pan , it absolutely was beautiful and then it fell, are they not made for a bunt pan? Hi Brig! Honestly, this cake is tricky in a bundt pan and a bit unpredictable. Because of the fruit and moisture content, even if you get a good bake on the cake, it can sink when its made in a bundt pan. flipped over this cake. Thanks so much for sharing it. Hi there, I want to make cupcakes instead of a three layer cake. Do I still add the 1/4 of all purpose flour to the 16 oz white cake mix or just the cake mix ? Hi Marlen, yes you do. Hey! My cake had a gummy consistency…is this supposed to have normal cake texture? Hey Jenny. No, it should not be gummy. I’m sorry it was for you. That’s so disappointing when that happens. As far as problem solving for better results, I’m wondering if possibly it was undercooked? That would definitely make it have a gummy texture but the recipe as written should not be gummy. Honestly, this recipe is tried and true for literally over 20 years. I want to make cupcakes instead of the cake. I got a Betty Crocker 16 oz white cake mix . Do I still use the 1/2 cup of all purpose flour or just the cake mix? Yay I am happy you loved this cake and thank you for sharing your thoughts with us! Hope you find a new recipe from the blog to try soon! Can I use a 12 by 18 pan ? I know a 9 by 11 pan has enough batter left for about 12 cupcakes.would it still be too much? Hi Susan. I’m sure you could. I have not made it in that size pan so I can’t advise on the baking time. I’m sorry 🙁 I’d love to hear back from you if you give it a try! I like a combination of cream cheese and butter with confectioners sugar for frosting. I am afraid it may be too creamy and not set enough. Has anyone tried putting some cream cheese in the frosting? I have made this begore and its delicious. When i made it today though, even though my cake was done the centers still fell. Hi Shannon. I’m sorry that happened! Gosh, I wonder if your strawberries had a slightly higher moisture content? Maybe the added juice from the strawberries weighed it down? Honestly, sinking has not been a problem for me with this cake! I know other people have had a problem with the cake sinking, but when I talk with them, it’s because their cakes were slightly under baked. So the only other thing I can think might cause it would be extra moisture. Can I back the cake today and frost it tomorrow?? Instead of the buttercream could you make a cream cheese frosting and add the fresh strawberries? Hi Gayle. It sounds delicious but I think it would be even more difficult to work with. I’d only use the strawberry cream cheese frosting on a single layer sheet cake. 🙂 I’d love to hear back if you try it! I made the strawberry cake for my brothers 60th birthday get together. Everyone raved about it and I must say it was soooo good. When I cut the strawberries for the icing I layed them out on a paper towel and placed another on on top and patted softly on the top to soak up some of the moisture and the icing was perfect. I also baked the cake the day before so it was cold when I frosted it. Hi Kathleen I am excited to try this recipe soon- It will actually be my first attempt at baking a layered or a frosted cake! Question for you -I was able to find a 16.25 oz Betty Crocker white cake mix box, instead of 18.25. If I want to just make 2 layers, should I then be following the recipe on the box plus add the Jell-O mix? How about the ratio of the other cake ingredients in your recipe? Or is this only going to work with 18.25 oz? In which case, can I add 1/2 cup extra all purpose flour to the box mix? Hi Sreyoshi. The 16.25 oz cake mix will work perfectly. Don’t add any extra flour. Somehow the cake mix company has figured a way to make a smaller volume mix work the same as the 18.25 oz. Hi Sreyoshi. I’m so happy the recipe worked well for you! Yes, slicing a thin layer off the individual cakes will even them out and give you a flat top. Personally, I love when a cake looks a bit homemade so I don’t usually bother to take this step. Happy anniversary and enjoy your delicious cake!!! I found this recipie on Pinterest a few days ago. I am currently pregnant, expecting twins, and I have been craving strawberries through this whole pregnancy. So I was really excited to happen upon this recipie. The smell of this cake is currently wafting through my house, and I can’t wait to try it. BTW ladies, if you want to know how long to cook in a 9×13 clear glass pan- 25 minutest @ 350 degrees was just right. Hello! I want to make this for my little girls birthday tomorrow but want to do cupcakes. Any special instructions? For the too loose strawberry buttercream. Maybe you can cook out all the liquid from the strawberries and make a jam first. Then fold that into the buttercream. You’ll still have the bits of the strawberries and the flavor. Have you ever made the frosting with freeze dried strawberries? That would fix the extremely thin/runny texture of frosting. Will it taste as good? Hi Cindi. No I haven’t interesting idea! They loved it, it was a SUCESS. Thank you so much for sharing, the cake was totally gone by the time I left. I will do very often. Ive made this cake twice, my family is soooo in love with it. I apply the frosting very carefully with a light hand-otherwise my cake would slide a little. we all love the cake better the second day after the cake layers absorb all the delicious strawberry juice-i keep it refrigerated and it is the most even perfectly beautiful cake I’ve made-perfect every time!!! On application the frosting is very soft but if you make it ahead and refrigerate overnight that may help- the taste is worth the trouble to me and my family. love love love this cake and wouldn’t change a thing. i used the $0.88 cake pans from walmart and lined them with wax paper-my layers were tilted on one side of each-i lined up the thinner side with the thicker side of the layer underneath and the cake turned out perfect. I made this cake and the icing today for my daughter’s birthday. It was a huge success! The icing worked much better by refrigerating it like you said. We will be making this cake a habit in our family! Thank you for sharing with us! Hi Erin. I’m so glad you liked the cake. Honestly, I think it’s the frosting that can be a little difficult. Remember, you can always use a vanilla or chocolate butter cream instead. I have this cake recipe multiple times. Everyone loves it. I made buttercream frosting and used my freezer jam or Smuckers strawberry jam in the frosting. Excellent flavor and very creamy. Cake more spectacular if dip whole berries in white chocolate and place on top. Yummo!!! Looking forward to trying this recipe for Father’s Day. We are in the Hudson Valley and the strawberries are super ripe and delicious this time of year. I am always on the lookout for great strawberry recipes. Hi Kimberly. I hope you enjoy!!! im Gettin ready to make 2 of these Gorgeous cakes for Mothers Day this weekend.and I wanted to kno R those mint leaves on top? Hey Ramona! Yes, they are! Enjoy 😉 Happy Mothers Day. Made this for my hubby yesterday and he ate one whole layer before I had a chance to make the frosting. Compliments to the chef, I guess. This cake was absolutely delicious! I couldn’t find the box with 18.25 oz, so I used a 16.5 oz box and just added a little under 1/2 a cup of cake flour in desperation. It turned out terrific. Will definitely be adding this to my rotation. Thank you SOOO much!!! Renee, I LOVE that story! Thanks so much for sharing it 🙂 Glad this recipe made your rotation. I adore it!!! I made this with thawed and drained frozen strawberries, and the frosting was a good consistency to work with. I also made it in a 9×13 Pyrex, so I just made 1/2 the frosting recipe, and it was plenty and super easy to ice. This was so, so good and a big hit with our friends. It tastes just like the one my Great Aunt Donnie used to make for church potlucks in Alabama. Thank you! Leanna, I’m so glad you liked this cake. Good to know the frozen strawberries worked out well 🙂 Thanks so much for sharing! Made this cake for Easter dinner. Loved the cake but my family did not care for the icing at all. I tasted it after the addition of the strawberries and thought it tasted too much like just plain powdered sugar. Added some vanilla extract in hopes of helping the flavor but the sugar taste was still overpowering. Would make the cake again but next time I will just “ice” it with fresh whipped cream instead. Hey Natalie. Wow, I’m surprised they didn’t like the frosting. In my family the frosting is always a huge hit!!! That said the frosting can be a serious pain in the neck to work with so any other frosting would be easier;) One thing I wonder though is if your strawberries might not have been super flavorful because it’s a little early in the season??? Hi! This looks amazing, I just had a quick question to clarify. When using the white box cake mix, do you add the other things on the box, or do you just add the things you indicated in the recipe? Also, any suggestions on a good cake mix to start with? Hey Hannah. No you don’t use the ingredients on the box in this recipe. Great question ;)! I made this cake this past weekend and according to everyone in family who tried it, it was a huge success. I must admit it was a lot of work, especially that buttercream icing but success nonetheless. Hi Nina. I’m sorry I haven’t tried it in a bundt pan. I don’t think there would be enough batter for a standard bundt pan. Poke the cake with a toothpick and pour over hot cake. Make sure your cake plate is big enough to hold the glaze overflow at the bottom edges. Hi Angela. 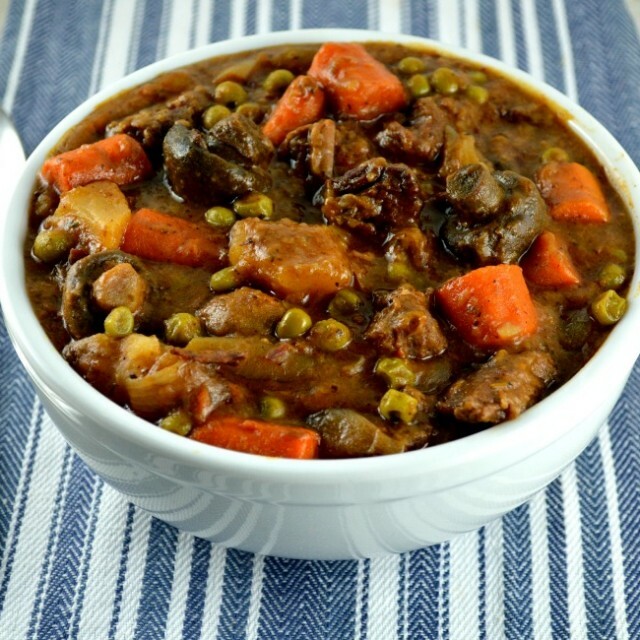 Thank you so much for sharing your MIL’s recipe! what type of flour? sf or plain? I wonder how strawberry gel (like pie filling without the berries) or even strawberry jelly would work in the frosting instead of the berries?? Hi Gaye. I’m not sure. I’ve never tried it before. Please let us know if you give it a try! Hello Heidi. I haven’t made the cake any other way than posted. That said, it is a very sweet cake. I would think it would work out very well with less sugar too. I’d love to hear how it comes out if you give it a try! I’m confused…when do the strawberries and jello get used?? Hi, They are mixed in with the cake mix. In step #1. I’ve used this same basic recipe for years and in winter I sub frozen berries for the fresh ones. With the left over berries, I strain the juice and use some of it in my icing, instead of whole berries, and that makes it much easier to adjust the consistency. Great suggestion Brenda! Thank you for sharing it. Made this cake today…the icing wasn’t as scary as some posts led me to believe…I allowed my butter to come to room temperature…I had to zap it for a few secs in the microwave but it was quite easy to work with. The cake is delicious! Hey Lorie. Thanks for sharing your experience! I think sometimes if the butter is just slightly too soft or the frosting is beaten a little bit too long, the frosting gets really loose. I’m really happy it worked well for you! I’m interested in turning this into a champagne strawberry cake. Would replacing the milk with a champagne still give the same consistency? Hi Megan. I’m not sure. The champagne should work but it lacks the fat and creaminess the milk supplies. I’d love to hear how it turns out if you try it! What size cake box mix do I need for this? Hi Kelcie. The exact size is constantly being changed by the manufacture. Somehow, no matter how they cut down on the size, the standard, straight off the shelf size always works! Hi. I’m planning on baking this cake tomorrow for a birthday party and have a question about the amount of icing sugar. Is it 2 x 16 oz for a total of 32 oz or 16 oz total? 32 oz is about 8 cups which seemed like a lot. Also, will it hold up overnight in the fridge or should it be iced and served the day of? Looking forward to the challenge of decorating. Thanks! Hey Rumi, Its 2 packages 16 ounces each. 32 ounces total. It will definitely hold up overnight in the frige. Hi Kathleen. Your cakes look amazing. What can I substitute the white cake mix with? Hi Isa. That sooo smart 🙂 Enjoy!!! This looks like a tasty recipe worth trying. Thank you for sharing! Thanks Nyesha I hope you try it! I saw the pin leading to your recipe here because I was curious, I always am with strawberry cakes, because I grew up with this exact recipe and apparently my mother did too. Every birthday that I can remember I have had this cake because it is that good! Then I was surprised to find my husband’s grandmother also makes the same exact cake, so we assumed it was an old southern recipe. And we have always agreed and forewarned new bakers of this cake that it is a bear to try the first time. Glad you recreated it here! This goes on my list for new cakes to try! It sounds so yummy! Hey Betty! Happy it made your list! Hey Helen. I’m sorry but I’m not sure what you’re referring to. 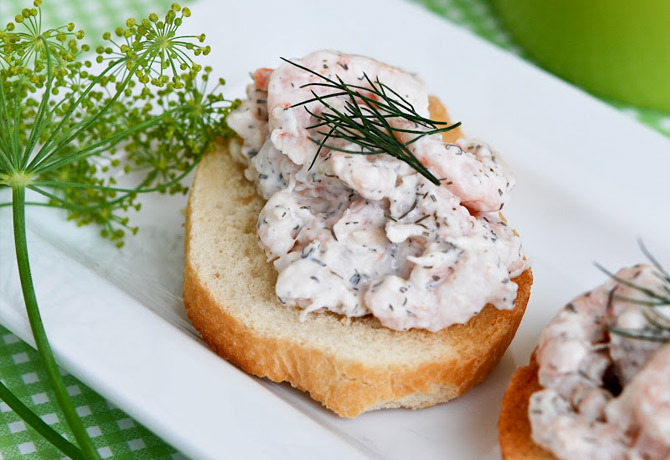 this recipe doesn’t use any cream cheese. I suggested possibly using a different frosting is that what you’re asking about? While I have made a strawberry cream cheese frosting for the same cake before and Kathleen mentions it as well, Buttercream Frosting is NOT made with cream cheese. It is butter, confectioners sugar, milk or cream and vanilla. Variations can be made for any number of flavors. Other varieties such as French and Italian exist as well. But cream cheese in it– nope. With the added ingredients to the cake mix, would this work in a regular cake pan or would it be to much batter? Hey Rhonda! I’m not sure I understand what you mean. Are you asking if it would work in a 9X13 inch baking dish? I think it would be fabulous in a 9X13. The frosting would be soooo much easier to work with as well! WIN WIN!!! Strawberries are my favorite summer fruit and they sound amazing in this cake! Mary must’ve loved this gorgeous dessert! I always have to freeze my cakes before frosting because I practically destroy them in the process otherwise 🙂 The strawberry buttercream looks delicious – I wouldn’t mind skipping the frosting part and just get a spoonful to my mouth! Pinning! Hey Mary Frances! I could eat the frosting by the spoonful too! Thanks so much for pinning. I really appreciate it! Disappointed! Icing turned out terrible. So runny. Made it twice and it was not creamy at all. It was suggested that since the strawberries are watery, butter should not be needed. Hi Bonnie. I’m really sorry to hear the frosting didn’t work for you. This has been such a favorite in my family. I make it exactly as written. The texture of the frosting is on the thinner side so it’s can be more challenging to work with but I find the flavor and texture to be incredible. I have people who I’ve made this cake for still talking about it 2 years after I’ve served it to them. I guess the amount of liquid in the strawberries can vary. To your point that butter should be added, I think that would be very problematic. I had problems with the icing, too. I followed the directions to the “t”…refrigerating after each layer…making sure the icing was cold. My cake just started leaning. At first, I thought it was me, but then I realized that the frosting is not stiff enough to hold the layers in place. The strawberries continue to water after being cut and mixed into the frosting. Even if the frosting is stiff when applying to the cake, the water in the strawberries will cause it to loosen and create issues. That being said, it is delicious and even if it’s an ugly cake, people are willing to look the other way. I will be making this again but with only 2 layers. I am going to try this recipe. My daughter LOVES strawberry cake. I have a suggestion for the icing. I’m going to try it this way to see if it works. Try chopping the strawberries an hour or two before you need them and put them between paper towels in the fridge. That will get rid of some of the liquid in the strawberries and maybe that will help with the icing being so runny.